In addition, violist Sheila Browne will be joining the full time faculty for the 2017 Techne Music Festival. Ms. Browne is currently the viola professor at the University of Delaware, and a former faculty member at the North Carolina School of the Arts. She is well known as a performer and pedagogue, especially workshops on Karen Tuttle Coordination, which she will present at the 2017 Techne Music Festival. 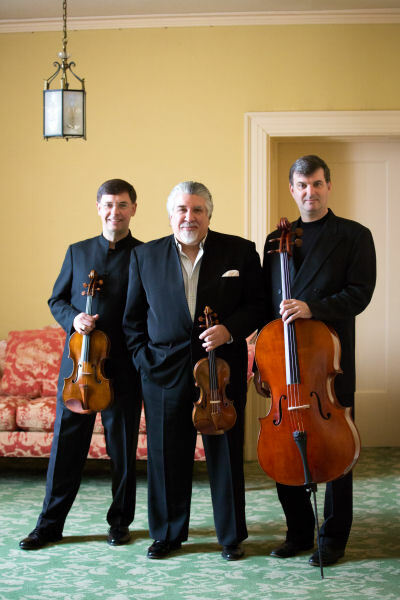 Returning for their fifth consecutive season, violinist Timothy Schwarz from Rowan University and cellist Lawrence Stomberg from the University of Delaware will complete the outstanding faculty that has become the standard for Techne Music. Performing chamber works by Mendelssohn, Brahms, Mozart and Dvorak. All times and sessions are subject to change. All events involving everyone will be in Peter Hall. Other room assignments will be announced. This will be videotaped and sent to everyone in the festival. 5:00 Concert ends; check out of dorms. If you are not leaving until Monday, please notify Dr. Schwarz before the beginning of the festival. You are strongly encouraged to schedule lessons before the festival begins; however, only sign up for one before the festival. If there are still openings you may schedule a second one at the beginning of the festival. Contact Dr. Schwarz for all lesson schedules. If you study with one of the faculty members regularly, please do not schedule a lesson with that person. Lessons can be scheduled with faculty members who do not play your instrument. Only the full-time faculty are available for lessons; the Diaz Trio will only be coaching chamber music. Concert Dress: Black, button down shirt and black pants for men; all black for women (dress or pants). Peter Hall tends to be warm.